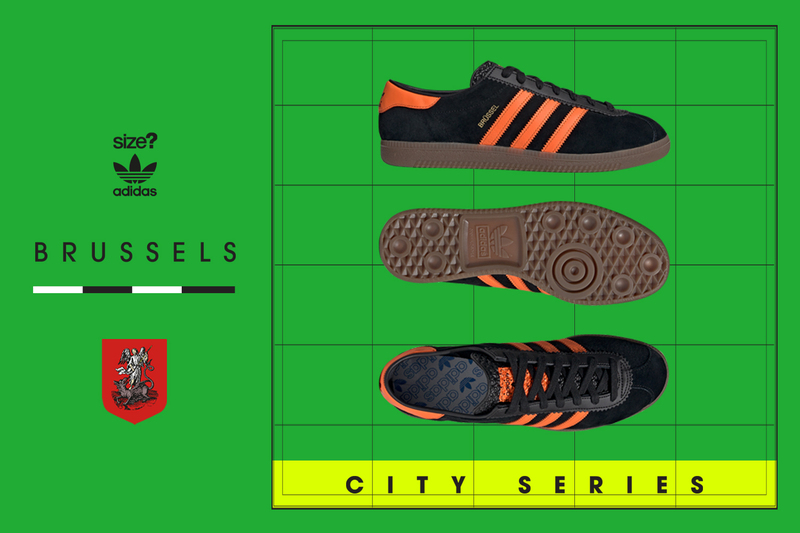 A collection that’s remained sought-after since its initial inception in the 1970s/early 1980s, adidas Originals’ highly-coveted European City Series makes its mark once again, this time kicking things off the iconic Brussels. You could argue for days about the greatest collection ever released by adidas, but one choice that’s sure to top devotee’s lists is undoubtedly the City Series. Chronicling selected cities throughout Europe (and later further afield as the Island series), each shoe had a characteristic of its own -represented by a specific colourway – which brings us up to date with this latest adidas Originals release. 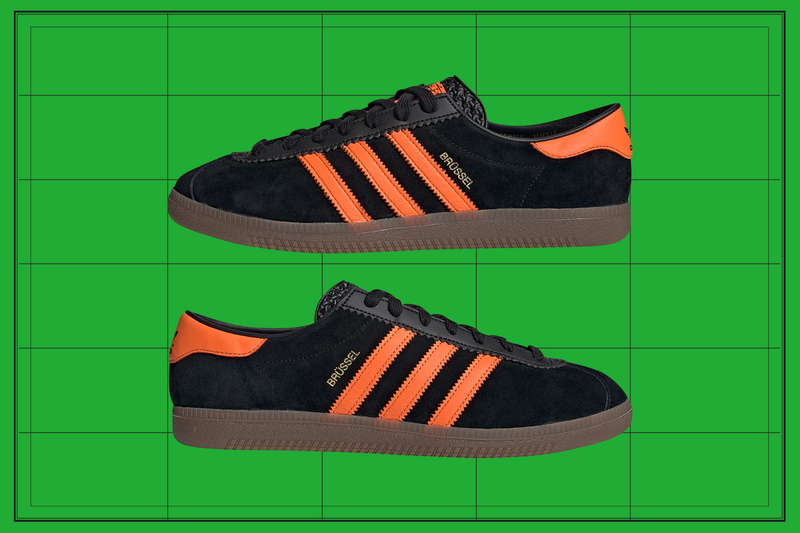 The Brussels initially debuted in the early 1970s and the West Germany-made original boasted a brand-new black and orange colourway; unseen on other silhouettes, the simple-yet-striking combination quickly led to the model becoming an icon. 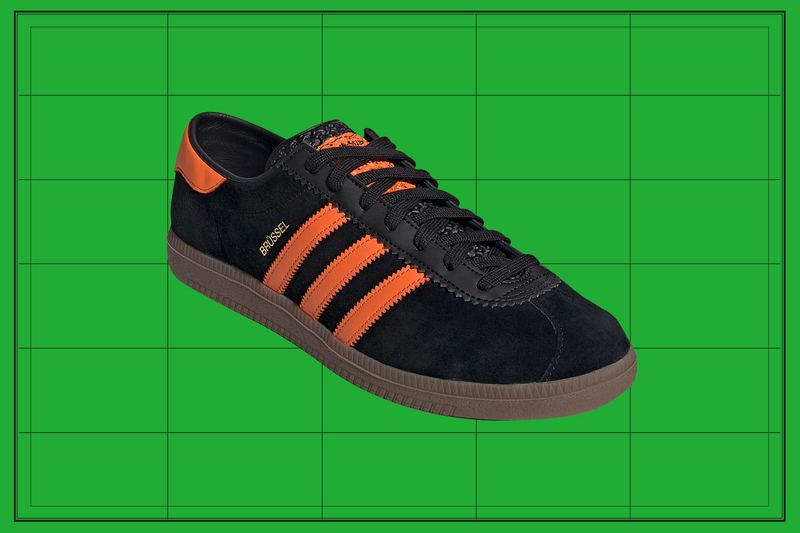 Proving popular amongst adidas aficionados, the two-tone palette has been utilised on a variety of other terrace favourites in recent times – the Hamburg and Handball Spezial namely. 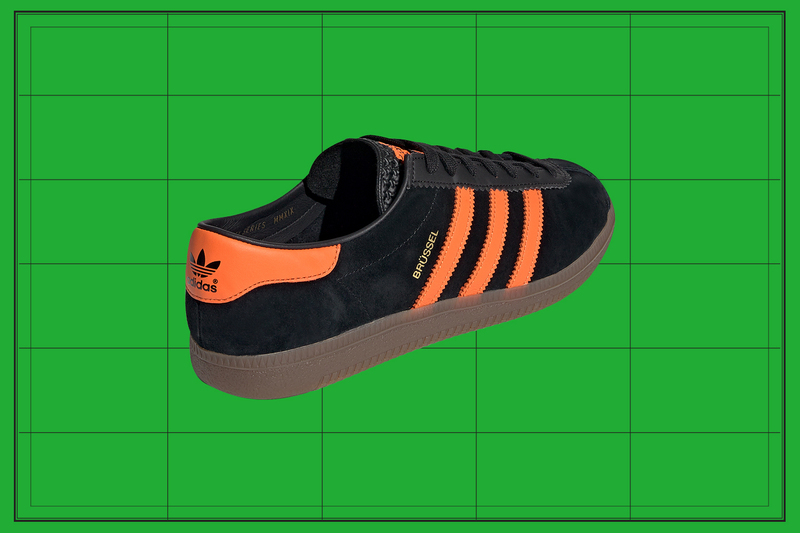 Imbued with all the same sensibilities as the original, the Brussels continues to boast a traditional supple suede upper, offset by panels of rich orange leather for the serrated sidewall three-stripes and heel-tab. A crinkled tongue is emblazoned with the brand’s Trefoil logo, while underfoot sits a gum midsole and outsole. The reissue is finished with an additional set of tonal orange laces and a commemorative graphic print, while the inside of the comfortable leather sockliner reads “City Series MMXIX” – a sign of more to come from adidas Originals this year. The adidas Originals Brussels OG will be available via the size? Previews App at Friday 1st February at 11pm and in size? stores on Saturday 2nd February from their respective opening times, priced at £85 and available in both men’s and women’s sizes.